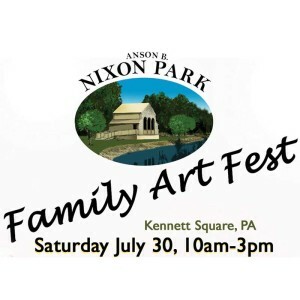 KENNETT SQUARE — Family Art Fest full of creative fun at Kennett Square’s Anson B. Nixon Park, sponsored in part by The Unionville Times. 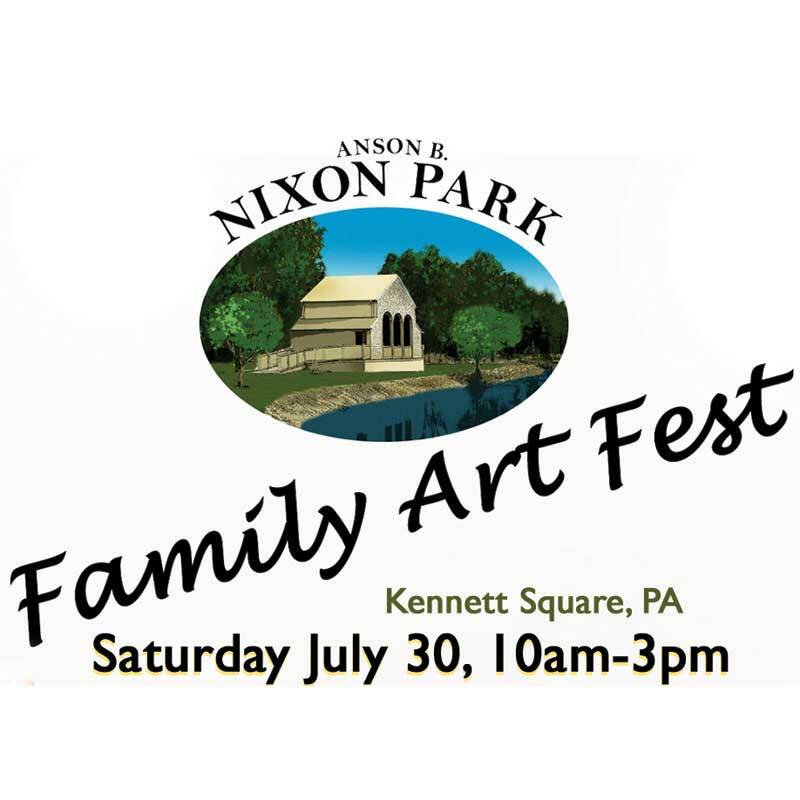 A variety of participatory art activities are planned for Saturday, July 30, from 10 am to 3 pm at Anson B. Nixon Park’s Family Art Fest. The event offers many interactive art activities for children. Take-away projects include mosaics, origami, abstract painting and rug weaving. To round out the fun, face painting, photography, and story-telling in a fairy story garden are planned. The Family Art Fest also includes music and dance performances from the Junk Rock Recycle Band, Danza Tenochtli, the Longwood Performing Arts Center, the Carousel Performing Arts Center, and special surprise guests. A bike rodeo by Kennett Square Dr. Ray McLaughlin of Kennett Square is also planned for the ArtFest. All kids who bring their bicycles and helmets along to the Art Fest can get a bike safety check up and decorate their bikes with colorful streamers. Dr. McLaughlin will demonstrate minor bicycle repairs and share safe bicycling rules throughout the day. Some demonstration bikes will be available for those without bikes. 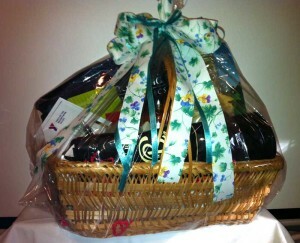 You could win this gift basket at the Kennett Family Art Fest on Saturday. Anson B. Nixon Park is located on North Walnut Street, off State Street in both Kennett Square Borough and Kennett Township. The 106-acre park has sand and grass volleyball courts, hiking, walking, and fitness trails, basketball and tennis courts, a Frisbee golf course, six pavilions with picnic tables, grills, two ponds stocked with fish, a children’s playground, and a performance pavilion. For further information about the park, visit www.ansonbnixonpark.org. 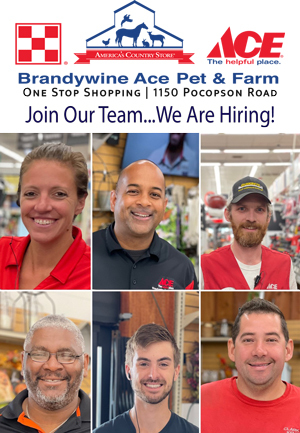 The street address is 100 Waterworks Dr., Kennett Square, PA 19348.